For his “Injections” series, artist Bradley Hart injects paint into bubble wrap to create photo realistic pictures. 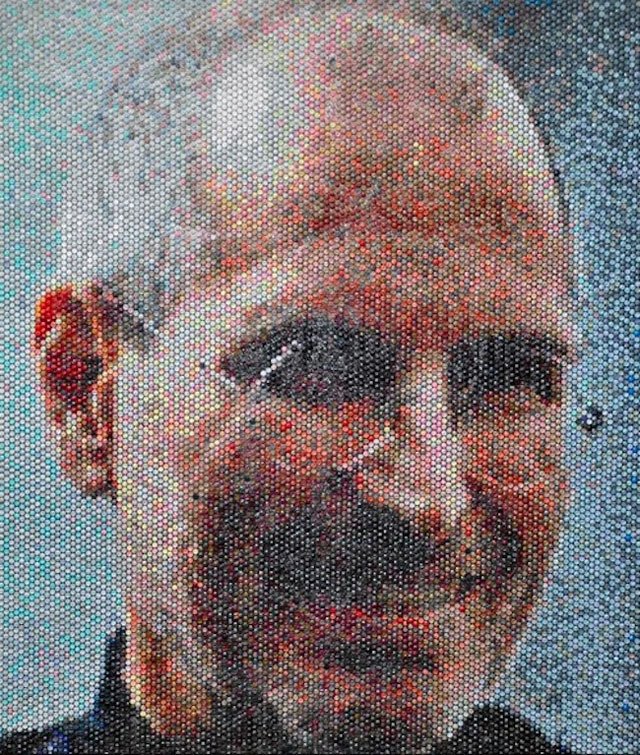 Hart works from photo references, using each bubble like a pixel, which gives images a curious pixelated look. As part of the process, Hart is left with excess paint which creates a second, smeared version of the bubble wrap work… Hart’s work is currently the subject of a solo exhibition, “What? Where? When? Why? How?” though March 29, 2013 at gallery nine5 in New York City.